Search engine optimization can certainly help you achieve a better rank on Google. While you may have reached the first page of the search engine results with SEO, getting a higher rank there tends to be difficult. If you find that this is the case with your website, it is time to go deeper. You will need to start implementing small changes so that your website can get a major boost in its ranking. Here are some of the ways you can do so. Semantic Markup should be used so that search result rankings can be increased. Speed up the indexing process by using an XML sitemap. Create an HTML sitemap to boost the indexing further. Make use of Alt Tags properly for optimizing your images. Increase search engine traffic by using heading tags. Use and optimize your robots.txt file so that you can control the crawlers of search engines. Make use of breadcrumbs to improve the navigation of your website. Check for and eliminate broken links as they can hurt your rankings. CTRs can be increased by use of quality meta-titles and page descriptions. Opt for a responsive design as it confers SEO benefits to your website. Check for the duplicate content in your website and get rid of them as soon as possible. Otherwise, your ranking can suffer a massive blow. 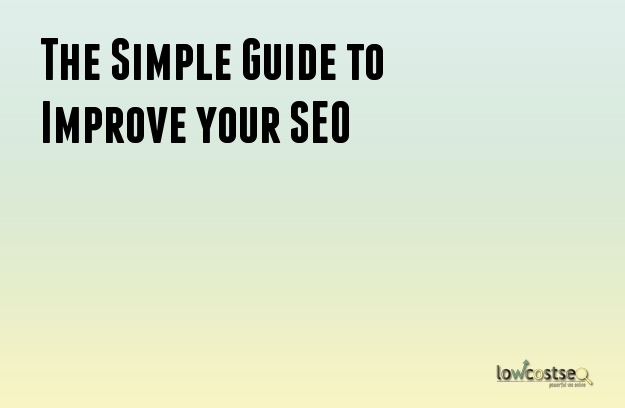 Implement LSI keywords so that you can increase the traffic from search engines. Focus on the placement of your keywords instead of their density or frequency. For your long tail keywords, you can implement internal contextual links. This enables you to improve the page rank of your webpages. Moreover, your site-structure becomes friendlier to SEO as a result. Implement keywords in header tags, titles and descriptions. Use them intelligently without overstuffing keywords. Create SEO friendly permalinks. The URLs should be short but still descriptive enough to be understandable. Keep the target keywords in the URLs. Optimize the URL structure by using hyphens to separate words. Make sure that meta-keywords have been used as they are useful for all search engines. Make sure that your headlines are powerful and capable of captivating the interest of the readers. Implement images and videos that are engaging. This will keep the bounce rate low. Make sure that your content or your blog is updated frequently so that the search engine ranking can be improved. The content should be thoroughly proofread before being published. Implement social sharing buttons so that readers can share the content easily. Ensure that your site has been submitted to Google Local Listing. Create pages for your brands on all the relevant social media sites. This can improve your rankings on the SERPs. Start PPC advertisement campaigns with Google AdWords to get more exposure and SEO benefits. Test your website across multiple browsers to ensure that your website runs smoothly on all of them. Make sure that your site has been tested for loading times and performance.